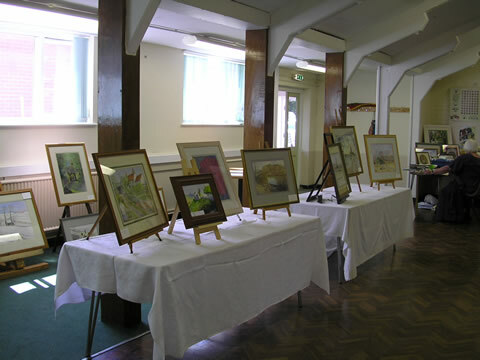 Bassetlaw District Council organised a series of Fabulous Arts in Bassetlaw (FAiB) events held simultaneously on 26th July 2008, involving several different villages in the area, celebrating the wealth of creative talent. 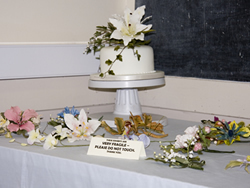 Here in Beckingham the event took place in the Village Hall, coordinated by village resident Mrs Linda Steed. 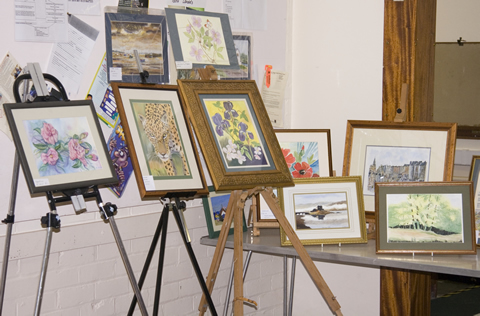 Local artists put on some interesting and varied displays of paintings along with two workshops. 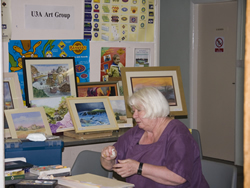 Beckingham local art group University of 3rd Age run by Rosemary Urwin, exhibited many paintings of different mediums and styles. 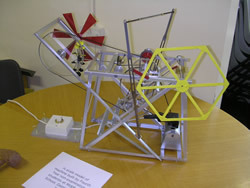 Local resident retired schoolteacher John Brittain exhibited and demonstrated a working engineering model with many different moving parts. It was a ¾ scale model of a machine built by 4th year non examination students from Middlefield School in Gainsborough in 1968. Artist Mary Johnson who works in pastel and watercolours exhibited paintings covering many subjects, among them were some local village scenes of Wood Lane. 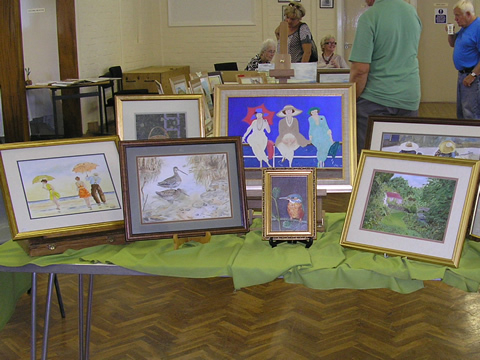 Artist Rita Wilson exhibited artwork showing her many different styles of painting and varied subjects. 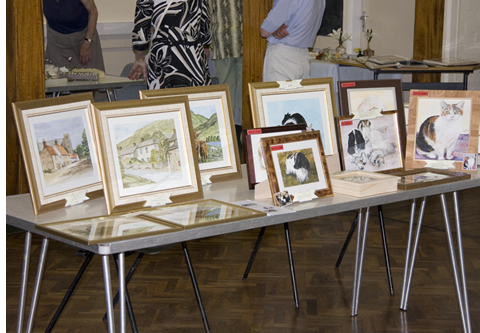 Amongst artist Janice Gravestock's display were some examples of her speciality of pet portraits from photos. 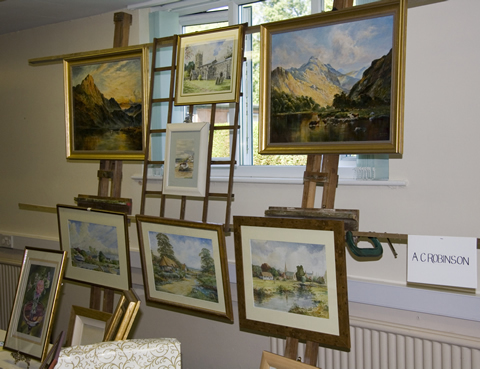 Artist Alan Robinson who works in oils and watercolours, specialising in landscapes, portraits and still life, displayed some local scenes including a watercolour of our village Parish Church. 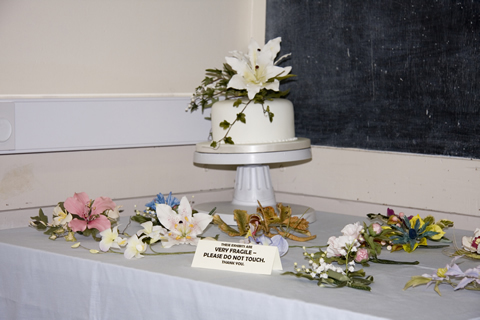 Sugarcraft artist Caroline Thomas, who has taught the craft for 10 years, exhibited some of her work and also held a workshop and demonstration throughout the day, with many people “having a go” at making their own delicate flower. Artist Wilfred Hawdon works in oils and watercolours and among his exhibits was an oil painting of the last consignment of timber to be delivered before the closure of Beckingham Shipyard. Urban Artist Nathan Bainbridge held a Graffiti Art workshop throughout the morning for children and teenagers. Nathan does Graffiti, photography and has designed many of the flyers seen for events held in Nottinghamshire. 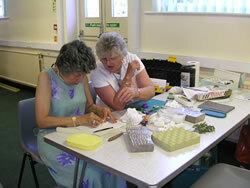 The exhibition was considered a great success and there are plans for another to be held next year. Grateful thanks go to the ladies who provided the refreshments at very short notice, to the artists who took part, to Linda and to all who helped make the day a success.